Saudi Arabia’s King Abdullah dies. Saudi King Abdullah Bin Abdulaziz at his private residence on June 27, 2014. Saudi King Abdullah Bin Abdulaziz has died, according to Saudi Arabian state TV. The news of the King’s death ricocheted around social media Thursday but was initially denied by journalists and other members of the Saudi royal family. King Abdullah was admitted to the hospital last month for pneumonia, and an announcement of the leader’s death came early Friday (local time). King Abdullah, thought to be in his 90s when he died, will be succeeded by his brother Crown Prince Salman. You can read more from Slate’s Joshua Keating on the palace politics of Saudi succession. King Abdullah was seen as a modernizing force in Saudi Arabia when he came to power following his brother’s death in 2005. The new king had been the country’s de facto leader since 1995, after his brother, then–King Fahd, suffered a debilitating stroke. 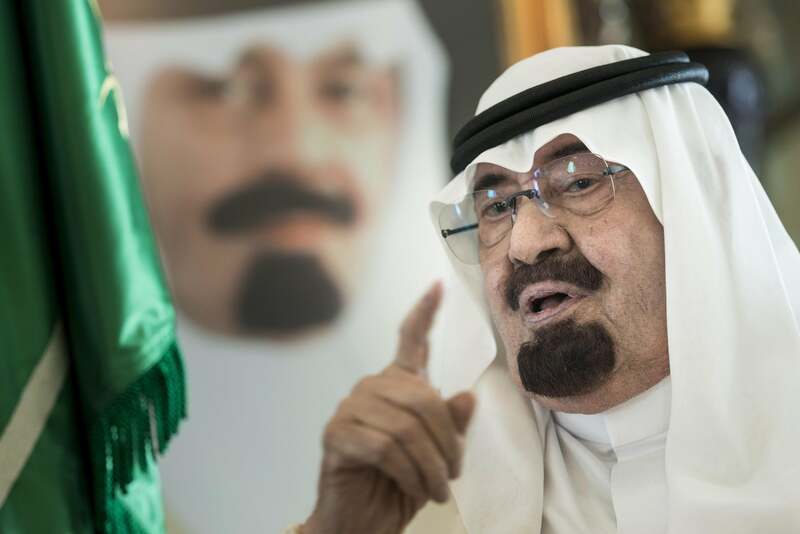 Along with pushing incremental reforms that gave greater opportunity to women in the kingdom, Abdullah advocated a more assertive Saudi presence in the Middle East—attempting to counter Shiite Iran’s influence.